If you use Basecamp for project management, tracking time is possible with Hubstaff. To enable this, you have to set it up in your Hubstaff account. 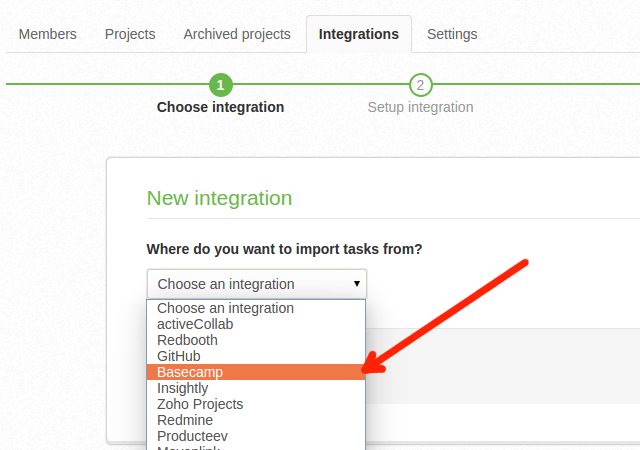 After clicking “Integrations”, click the “Add Integration” button and from the drop down menu, select “Basecamp”. 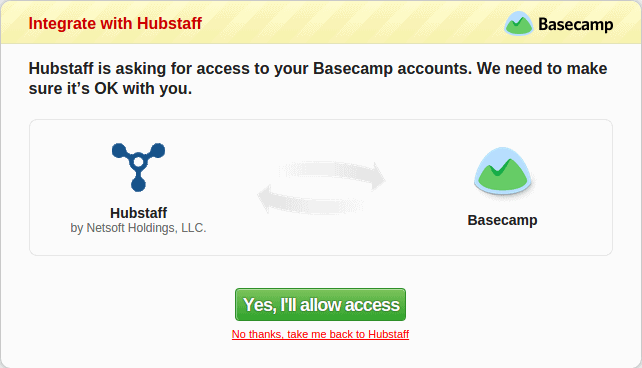 You will need to grant Hubstaff access to your Basecamp account using oAuth. After clicking the “Create Integration” button, you will be taken to a window similar to the one below. If you are already logged into Basecamp, you won’t be asked to log in again. After successful authorization, choose the Basecamp account that you want to integrate. Click “Save” and move to the next step. The final step is to link your Basecamp projects with the corresponding Hubstaff projects. Take note that while you can integrate Hubstaff with other project management applications, you can only map one project to a service at a time. When you link your projects, they should be similar to the screen capture below. Clicking the “Link” button will launch a pop window similar to the one below where you can select the Hubstaff project to connect to a Basecamp project. You also have the option of creating a new Hubstaff project in this Window. Linking users is similar to linking projects. As with projects, users can only be linked one time per integration. Also, if there are users in Basecamp that haven’t been added in Hubstaff, it is best to first invite the users then come back and link them. Tasks will take a short while to sync with Basecamp, typically thirty minutes. Everyone in the organization needs to update their Hubstaff to the current beta release. After this, each user will need to restart the Hubstaff app. The team will be able to check for updates once tasks have synced. The screen shot below demonstrates how to do this. After the Hubstaff application updates successfully, take note of the new look of your desktop client. In the window on the right side of your project list, you should be able to see all your Basecamp tasks as shown below. 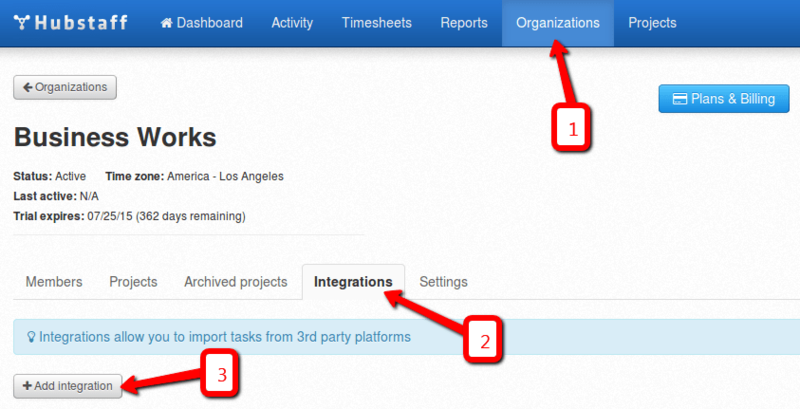 If you click on any project mapped during the previous steps, you will see the related Basecamp tasks. It is also possible to track time on Hubstaff projects without tracking specific Basecamp tasks.